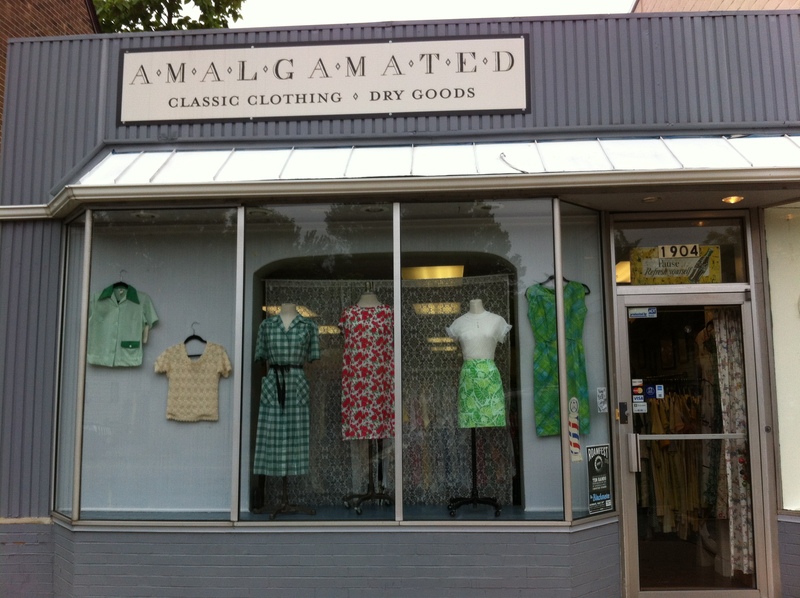 If you are looking for a one-of-a-kind vintage outfit, look no further than Amalgamated (1904 Mt. Vernon Ave.). 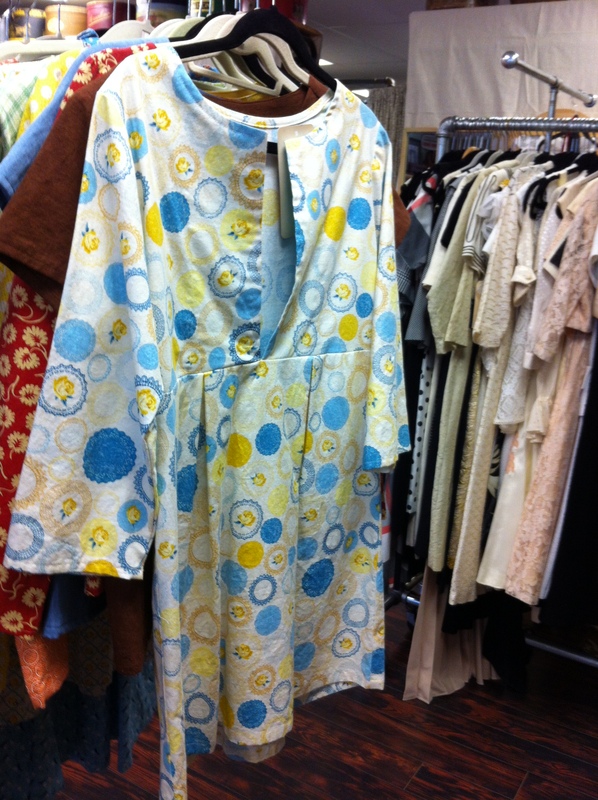 This store takes pride in having a stock that is curated – high-quality vintage pieces in wearable condition. They carry vintage denim, adorable dresses, and men’s suits that can only be described as dapper. Every week, they add new items to their inventory, so go back often to discover new and fun finds. On a recent visit, I enjoyed looking at the swing dresses that were arranged by color. If you wore one of their pieces, you would know for sure that no one else at the party would be wearing the same dress. And if you had a piece in mind, you could call ahead to see if they have it in the store. If they don’t, they will make every effort to find it in the warehouse and bring it to you. They also have a small selection of accessories – earrings, necklaces, and purses. And the amazing part is that the retail store is only 5% of what they do. The majority of their work is providing costumes for TV, movies, and Broadway plays. On the day that I was there, they were on their way to Brooklyn for a movie shoot. Exciting stuff! 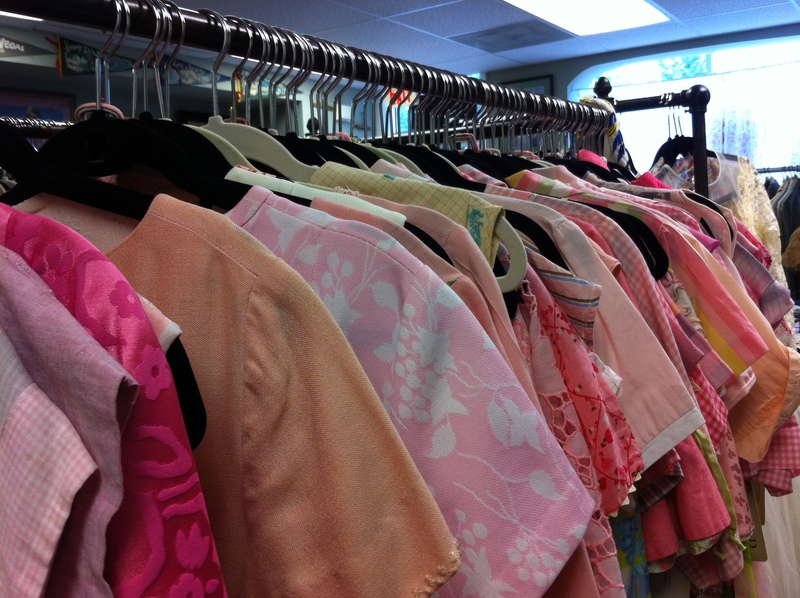 If you have any items that you would like to sell to them, you can make an appointment by calling 703-517-7373. 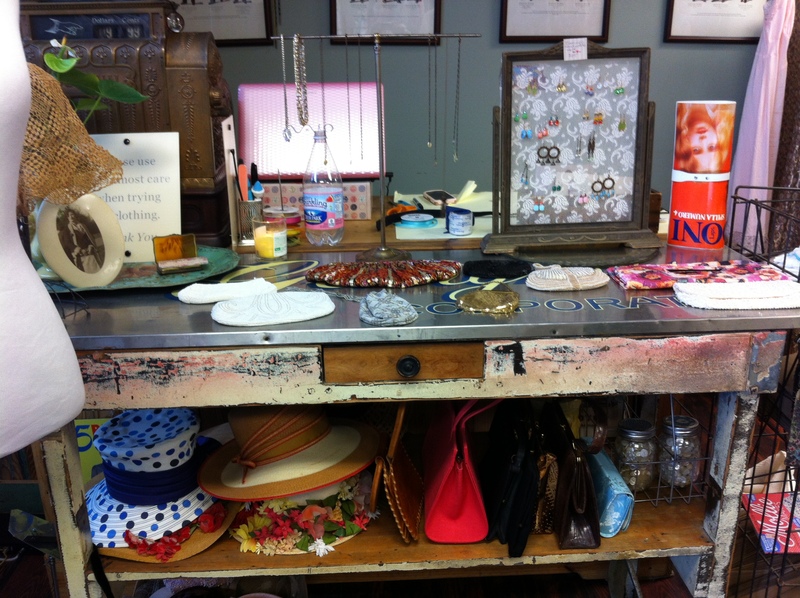 Stop by today to take a trip back in time and possibly pick-up a treasure!